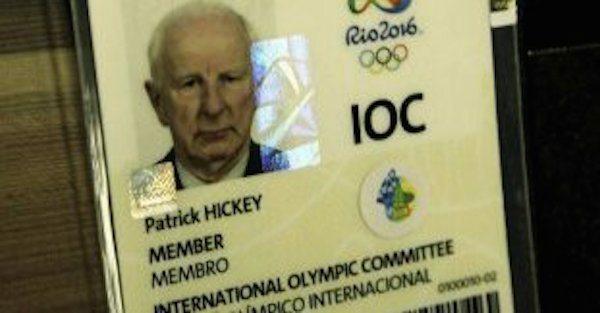 Pat Hickey, the powerful Irishman who heads the European Olympic Council, languishes in a top security Brazil prison in Rio De Janeiro, his hair shaved, his reputation in tatters, and with a cellmate named Kevin Mallon, also from Dublin. They will have a lot to discuss. It was Mallon whose arrest selling top access Olympic tickets at outrageous prices at a fancy hotel event masquerading as a welcome reception who really brought Hickey down. Bail has been refused. Justice moves slowly in Rio. The two Irishmen may need lots to talk about. Hickey at 71 will surely feel the strain. Used to wining and dining with world leaders such as Vladimir Putin, Hickey finds himself instead sipping thin gruel facing possible jail time in a country known for notorious prisons. The story begins with Brazilian football legend Romario (who uses only one name) who was player of the tournament in the 1994 World Cup. After retiring from soccer as a hero Romario ran for parliament on a left-wing ticket and was successful. When Brazil won the right to host the World Cup and Olympics in 2014 and 2016 he wanted to ensure that ordinary fans would have access to tickets. However, the scalpers proved impossible to deny at the World Cup two years ago. Romario attend the Olympics in London in 2012 and came back with the name Pat Hickey as a person to watch when tickets went missing and ended up on the black market. A powerful Olympic official, Hickey has clear access to the best of tickets whatever the event. Romario let the police know of his suspicions. So Brazilian police already had Hickey on a suspects list. Fast forward to a weekend night shortly before the games began. Kevin Mallon, an Irishman employed by ticket broker THG whose Chairman Marcus Evans is said to be a close friend of Hickey, was selling tickets at an exclusive reception he hosted in the Next Hotel in Rio. In attendance were wealthy Brazilians who were buying tickets with $400 face value for $8,000. One wealthy businessman allegedly bought $60,000 worth of tickets on the night. 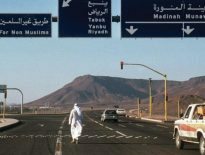 A figure of $2.5 million in profit on the black market tickets was mentioned. There is a clear connection between Hickey and TGH. Police Chief Barboza stated they have possession of several hundred emails between Pat Hickey and TGH Chairman Marcus Evans. “We need to check out these emails a lot more,” he said. Mallon was arrested after the reception event by police as was his translator . “This whole cocktail reception was just a farce. They were making it look like a hospitality event but that was all just a facade,” Barboza claimed. Police confiscated more than 800 tickets – the code on many of them identified them as Olympic Council of Ireland tickets. Many relatives of athletes in Ireland and parents now understand why the family allocations were so meager and it was so difficult to get tickets to events to watch their children compete. The police decided to move on Hickey. Early dawn on Tuesday they surprised a naked Hickey in his plush hotel room. He was arrested and jailed. He could face a jail term of up to seven years. Stung by criticism they were not policing the Olympics properly the Brazilian police will take satisfaction in catching what they believe is a huge insider scalping ring. As for Hickey, questions have swirled around him for decades as to how Olympic tickets are handled as well as how he uses his position to reward friends and allies. There are new questions about how Irish government funds were used. The government minister responsible Shane Ross has ordered a tribunal of enquiry. Hickey may have just stretched too far on this occasion and it is noticeable how little support there is for him in Ireland or among European Olympic Council delegates. It is a shameful episode for the Irish Olympic Council. 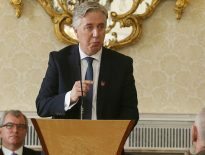 Hickey has simply run out of road and had dragged the Olympic movement down as well as Ireland’s reputation say insiders. All the unanswered questions over the years about ticket allocation, the spending of government funds etc are now going to be answered. Pat Hickey at 71, may have stayed one Olympics too long.